﻿﻿Shaykh Ahmed Mohamed Saad Al-Maliki Al-Azhari Al-Hasani was born into a family of scholars whose lineage goes back to the Prophet ﷺ through his grandson Al-Hasan ibn Ali (radia Allahu anhu) in north Egypt. 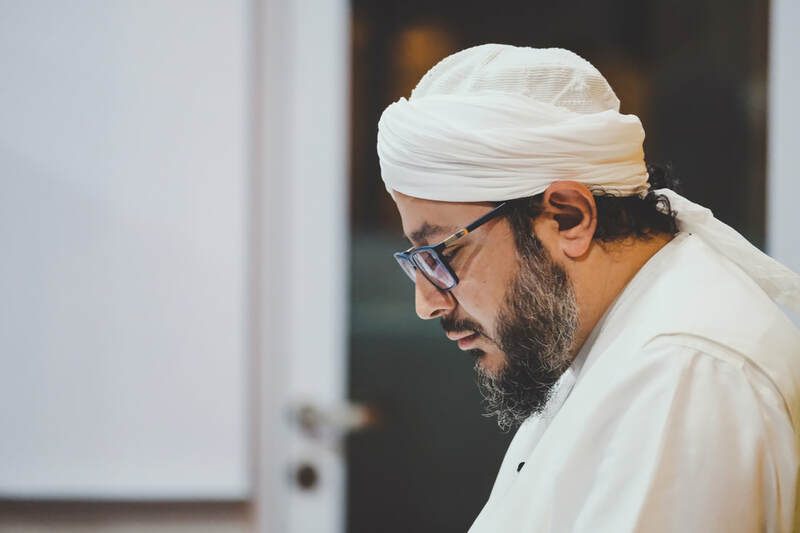 Following the family tradition, Shaykh Saad completed the memorisation of the Holy Qur’an at the age of ten at the hands of his father and studied basic Arabic and Islamic sciences with focus on the sciences of Arabic language (‘Ulum Al-‘Arabiyyah) before enrolling into Al-Azhar system of schools where he studied from 1988 to 2004 graduating with a B.A. Honours in Islamic Studies in English and finishing his post graduate years. Shaykh Saad delivered his first Khutbah at the age of 15, led his first prayer at the age of 13 and since then, he has been involved in Da’wah work and spreading traditional Islamic knowledge. Shaykh Saad was a guest of the ministry of Hajj amongst a selected delegation of 10 Egyptian students in 2000. During the visit, he performed Hajj alongside other selected students from Egypt, Malaysia, Pakistan, Indonesia and Nigeria. They had the opportunity to meet leading Muslim scholars and engage in dialogue about the future of young Muslims. Following his graduation, Shaykh Saad toured the world as an Imam, speaker, lecturer and teacher. He was visited Canada, Malaysia, Germany, USA, Sweden, Turkey, Singapore, India, Qatar, Argentina, Australia, Uruguay, Spain, Indonesia, Austria, Norway, South Africa and many other countries. In 2005, Shaykh Saad participated in the Religious Pluralism Institute in University of California - Santa Barbara as a Fulbright Scholar. He also participated in the University of Erfurt Islam in the West program in the summer of 2004. Shaykh Saad led Tarawih prayer since 1994 in different parts of the world including Calgary Islamic Center, East London Mosque, North London Central Mosque, Palmers Green Mosque, Seekers-hub, Pinelands Masjid Cape Town, Center for Spirituality & Cultural Advancement-UK and many mosque in Egypt prior to that. Alongside with his academic studies, Sheikh Saad studied traditional Islamic sciences at the hands of senior scholars and specialists in Egypt, the most notable of whom is his late father Shaykh Muhammad Saad, Habib Abu Bakr Al-'Adni bin 'Ali Al-Mashhur and the Grand Mufti of Egypt Sheikh Ali Gom’ah. He memorised Riyadus-Salihin of Imam An-Nawawi in hadith at the age of 15 and Alfiyat Ibn Malik in grammar at the age of 13 and committed to memory thousands of lines of poetry and prose. He has memorised texts on logic, tajwid, aqidah, morphology, rhetoric and many other sciences. Shaykh Saad studied both Shaf'i and Maliki madhhabs and practices the school of Imam Malik. In the narration of Hafs from 'Asim, Shaykh Saad holds one of the highest chains nowadays for his peers, there is 29 people between the Prophet ﷺ and him. He also holds ijazāt in Warsh and Qalūn from Nafi' and the recitation of Hamzah. Amongst his shyūkh in Qira’at are: Shaykh Dr. Ayman Suwaid, Shaykh Ali An-Nahhas, Shaykh Shibl Matar, Shaykh Abdel-Basit Hashim, Shaykh Abdel-Fattah Madkour (the last living student of Shaykh Ali Ad-Dabba’ and the colleague of Shaykh Al-Husari). Shaykh Saad has also got Ijazahs in the books of hadith, the musalsalat, Shafi'ī and Malikī Fiqh and and many other 'ulūm. He counts among his teachers: the former Grand Mufti of Egypt Imam Shaykh Ali Gom’ah, Shaykh Ahmed Ali As-Surti (India), Shaykh Yahya Al-Mulla (Al-Ahsa), Shaykh Muhammad Abdel-Ba’ith Al-Kittani (Alexandria), Habib ‘Umar bin Hafiz (Yemen), Shaykh Muhammad Sadiq Al-Alawi, Shaykh Yahya Al-Ghawthani (Madinah), Habib Muhammad Sa’ied Al-Beidh, Habib Abu Bakr Al-Mashhūr, Habib Zayn bin Summit, Shaykh Muhammad Al-Baqqali, Shaykh Subhi As-Samurra’i (Iraq), Shaykh Abdur-Rahman Al-Kittani (Morocco) Shaykh Ahmed Sharif Al-Manbiji (Syria), Dr. Abdel-Fattah Al-Bizm (Mufti of Damascus), Shaykh Abdel-Hamid Mubarak Āl Al-Shaykh Mubarak (the Shaykh of Malikiyyah in Ahsa), Shaykh Dr. Muhammad Abdel-Samad Mehanna and many others. Shaykh Saad loves poetry and writes it frequently mainly in Arabic and sometimes in English. He has published an anthology of his poetry and some other books including 'Contemplating the Qur'an'. 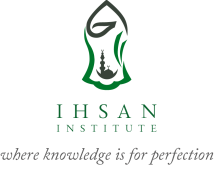 Shaykh Saad is the founder and director of the UK-based Ihsan Institute for Arabic and Islamic Studies. He currently resides in the UK and travels internationally.